Consuming Impulse stands firmly next to Death’s Leprosy, Sepultura’s Beneath the Remains, Obituary’s Slowly We Rot, and Morbid Angel’s Altars of Madness as key evolutionary albums in the legitimization of death metal in the late ’80s. 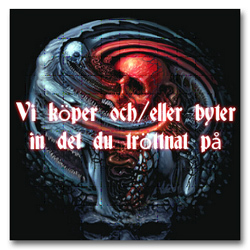 Holland’s Pestilence never garnered the accolades of their peers due to a relatively short career, but Consuming Impulse is a warts-and-all death metal classic: Suitably raw but clear production; a collection of top-shelf, consistently devastating songs; and the deranged, dry-throat howls of vocalist Martin VanDrunen. Opening cut “Dehydrated” sets things up with a flurry of nimble, fast-picked, memorable riffing and jarring tempo changes — a brutally effective combination of Slayer’s intricate speed dexterity and doomy Celtic Frost passages. The formula is tweaked slightly for each crushing track, highlights being “The Trauma,” “Echoes of Death,” “Reduced to Ashes,” and, especially, “Out of the Body,” a furiously violent assault of headbanger thrash bolstered by guitarists Patrick Mameli and Patrick Uterwijk’s frantic, atonal, and noisy soloing (another Slayer influence) and VanDrunen’s truly gut-wrenching and demented vocal hysterics. 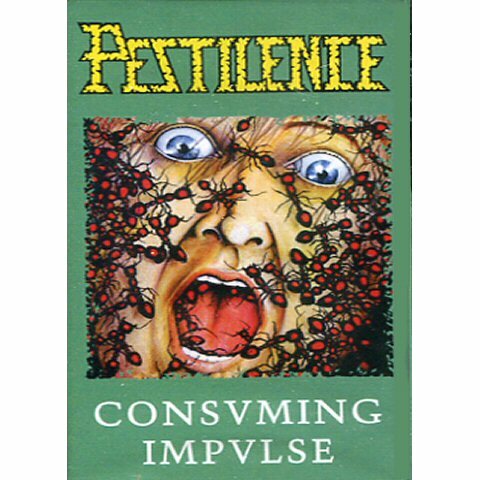 Consuming Impulse is an overall upgrade from Pestilence’s Malleus Maleficarum debut, which at best is a messy, up-tempo thrash feast; it’s increasingly obvious that the band’s instrumental and songwriting chops grew in leaps and bounds since their debut, each song on Impulse being brilliant in concept and execution, highly memorable and complex without overindulgence. One gets the sense that Consuming Impulse was a rush job in the studio — bass mixed too low, cardboard-y sounding toms (it’s begging to be remastered) — but the recording benefits from it, sounding loose and inspired, the product of a pissed-off band gritting its teeth and just going for it. Later albums would be more highbrow and experimental (the highly conceptual Testimony of the Ancients and much-loathed swan song Spheres, which delved heavily into synth guitar and elements of jazz), but Consuming Impulse is the guts of Pestilence’s career, the group confidently leaping from the gutter with teeth bared, ready to stand toe-to-toe with the other truly great — and more appreciated — acts in the death metal genre.